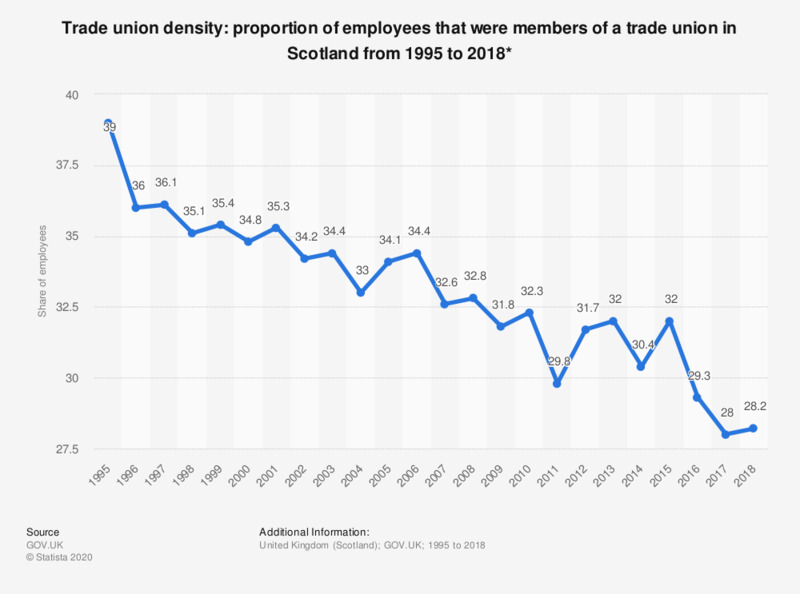 This statistic shows the percentage of employees that were members of a trade union (trade union density) in Scotland from 1995 to 2017. Over this 23 year period, the percentage fell by a total of 10.9 percent to 28.1 percent in 2017. * Figures are not seasonally adjusted.